We have had some great politicians and Prime Ministers over the years and, how should I put this, some less than great ones too. Especially recently… Go back a few years though and you will find most political leaders of our country were also great statesmen too, working for the greater good of the country regardless of their particular hue of party. 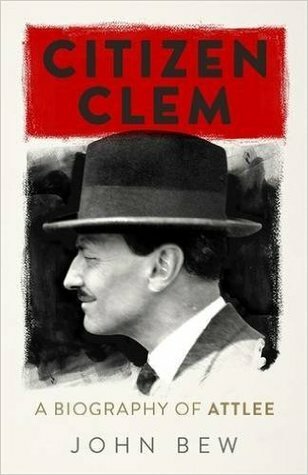 Several politicians spring to mind, but one that doesn’t often is Clement Richard Attlee. Born in 1883 in Putney to Henry Attlee and Ellen nee Watson, he was the seventh of eight children. He was educated at Northaw School, then Haileybury College; and before getting a degree in modern history from University College, Oxford. From there he trained as a barrister and worked at his father’s company and was called to the bar in 1906. He served in The Great War, whilst his brother Tom was imprisoned for being a conscientious objector but was fortunate twice to escape heavy action that saw a lot of his regiment perish. The law was not where his passion lay though, having seen the poverty in the East End of London it inspired him to become politically active and he was first elected to the House of Commons in 1922 as the MP for Limehouse. Two years later he became a junior minister and a few years after that became a cabinet minister for the first time. Shortly after in 1931, the Labour Party were defeated in a general election, but Attlee held his seat. Four years later he was to become the leader of that party. As tensions rose in Europe in the 1930s, he preferred pacifism and opposed rearmament, but was later to reverse his position. He became a strong critic of Chamberlain’s attempts to appease Hitler and Mussolini and after war broke out joined the war coalition serving under Churchill as Deputy Prime Minister. In 1945 after the end of the war in Europe the, coalition fractured and a general election was called. Churchill expected to win, but he didn’t, and Attlee had a landslide victory. His time as Prime Minister would prove to be the most progressive of all that held that position that century. Bew has studied his subject in almost intimate detail and not just the written about the time that he spent as Prime Minister. The thorough research goes into the background that drove this fairly unassuming man to the political stance and outlook that he took consistently all his life. There are snippets and anecdotes that fill in the gaps from the official stories as well as lots of details from the life that he lived outside politics. It also goes some way to disproving the claim from those that opposed him that he had no intellectual or political footing, instead it shows a man of strong principles and rigor. For anyone with an interest in political history, this is a balanced and objective view of a man who should be considered the most radical PM of the 20th century.